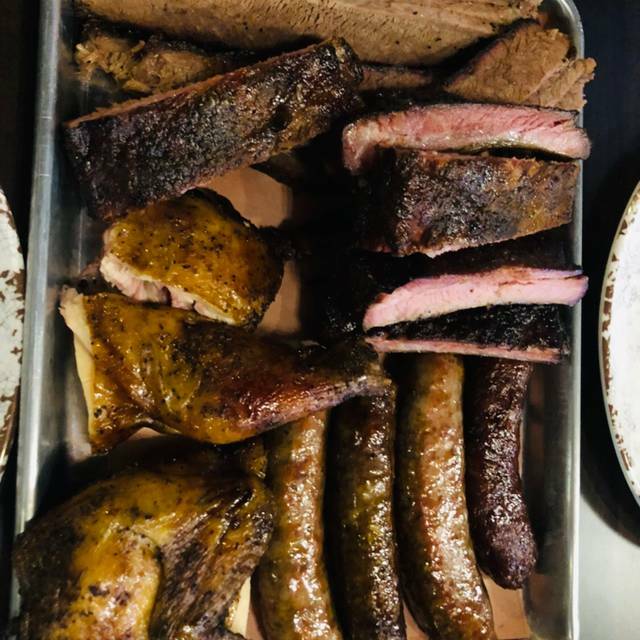 LOCATED IN WEEHAWKEN ALONG THE HUDSON RIVER, THE OPENING OF OUR SECOND HOUSE OF QUE LOCATION WELCOMES ANOTHER AUTHENTIC TEXAS STYLE BBQ RESTAURANT TO NEW JERSEY WATERFRONT. WITH 2 FULL BARS WITH SEATING FOR OVER __ GUESTS, A SEAMLESS INDOOR AND OUTDOOR DINING EXPERIENCE, LIVE EDGE WOODEN TABLES AND A CITY SKYLINE VIEW, THIS HOQ LOCATION OFFERS A SOPHISTICATED, SOUTHERN ATMOSPHERE FOR ALL TO ENJOY. 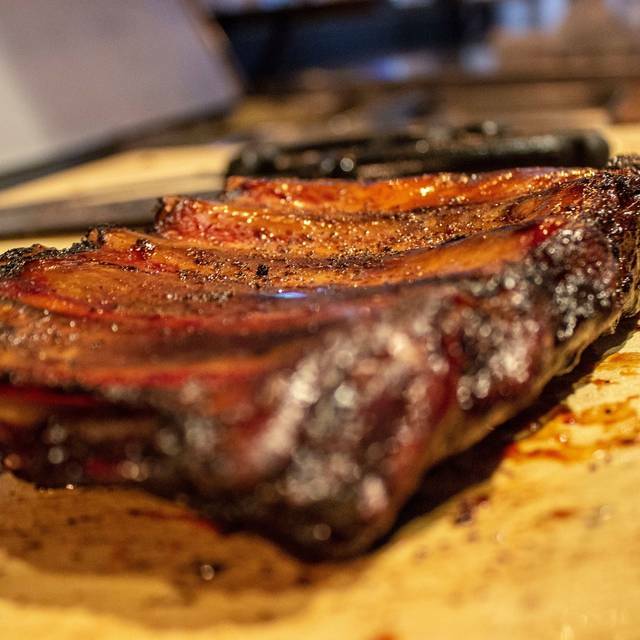 ESTEEMED TEXAS PITMASTER MIKE RODRIGUEZ PROVIDES A TASTE OF TEXAS WITH THIS SIGNATURE 18 HOUR SMOKED BBQ. SPEND TIME WITH FAMILY ON OUR SUNDAY GAME NIGHT, OR GRAB YOUR FRIENDS TO WATCH THE UPCOMING GAME ON ONE OF OUR 4 BY 6-FOOT SEAMLESS VIDEO WALLS. SATURDAY NIGHTS CAN BE SPENT WITH THE DUELING PIANOS, KARAOKE & COCKTAILS, OR COMEDY NIGHT! HAVE A DRINK, A LAUGH, AND A GREAT NIGHT WITH FRIENDS AND FAMILY. 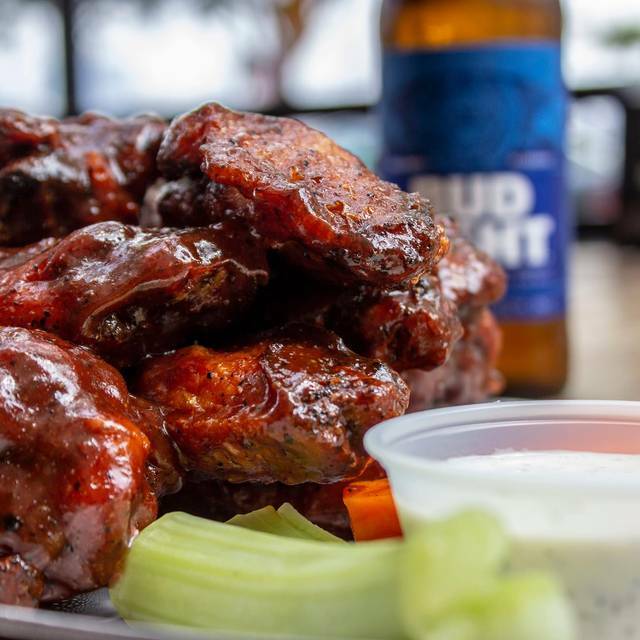 COME IN TO EXPERIENCE SOME OF THE BEST ENTERTAINMENT, SPORTS, COCKTAILS, AND BBQ IN THE AREA, EXPERIENCE THE HOQ! Easter Sunday brunch buffet next Sunday 4/21. Adults $29.99 includes one mimosas Bloody Mary or soft drink. Children 12 and under $19.99. Easter basket raffle. Great addition to our local restaurants. Great service, authentic Texas bbQ (native Texan) and great ambiance. Hang out or for a meal with the family. Fun place - solid food - reasonable prices and very friendly service. Would be 5 stars but the brisket was OK at best. Ribs and sides were spectacular. Great experience start to finish. Possibly just growing pains, but the service needs work. The host made us feel like we were inconveniencing her, she couldn’t be bothered to smile or welcome us. We were seated and it just felt dark and gloomy. The waiter seemed to be the manager filling in for a lack of staff. He took out order after a long wait and just seemed awkward. We ordered the brisket and it was good, the also had a half chicken which was dry and inedible. Our sides were good; Mac and cheese, corn and black beans and corn bread. The place has potential, but the service and ambience just felt off, could’ve just been a slow night...will give it another shot. Food was mediocre at best. Ordering bbq ribs by the pound was a total ripoff. And they were dry and cold. The brisket was fatty and had no flavor. Don’t bother with the cole slaw either because it had no flavor. The curly fries were the highlight of our meal. Go and sit at the bar if you want to see a repetitive football highlight reel or split screen softball, or if you love maroon 5- they play only their music. Only Maroon 5. No blues. No R&B. Overall, a waste of time and money to go to Que. Not good from the start. Service was shoddy, food was mediocre (pork was really fatty, yuck), and there was a piece of plastic in our sandwich. They offered a replacement, which we refused five times and then agreed to so they'd stop asking, but they UPCHARGED us, actually adding to our bill. Good grief! I wouldn't recommend this to my second cousin's dog! Hard pass, better bbq elsewhere! Good food, fun atmosphere and incredible staff - friendly and efficient. Well worth a visit. Our food was cold. I was too tired to wait and send it back. Service otherwise was good. Great atmosphere and TVs. The drinks are also good. However- the bbq is very dry and the appetizers are way to expensive. Food and service were both awesome. Will definitely be coming back! We celebrated my mom’s birthday here. The ambiance was great. There was a game on the many televisions. I wasn’t aware that it had a sports bar type vibe. The food was good and there was live music after 9 PM the Saturday night that we went. Great food and fun atmosphere. 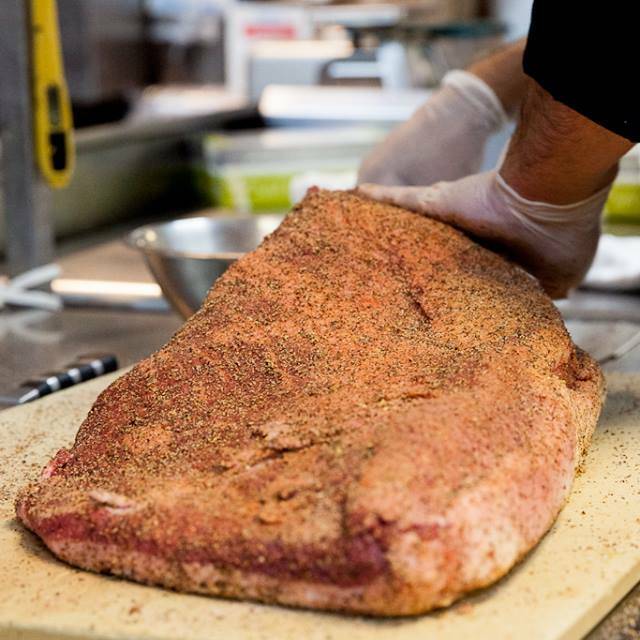 Just wish the bun was warmed up/toasted for the brisket sandwich. Seemed a little odd to use a cold bun. Michael was our waiter and he was excellent! They were understaffed due to some unforeseen illnesses but the staff hustled and were working extremely hard. The GM Kathy was running around assisting all the staff. It was great to see! This was our second time and we will be back! Food is great! It’s such a fun sports bar feel! Very quiet evening. The food was ok. Very pricey. Not enough on menu. When you think of TEXAS YOU THINK BIG! I thought the portions were small. Drinks were in small glasses. Stopped in on a Sunday night. NFL football games on TV everywhere. Has a typical comfort/bar food menu. We had chicken sandwich, hamburger and wedge salad. Everything would rate a 6 out of 10. This is a sports bar and an event location when the dueling pianos are playing. They provide a much needed service to the neighborhood as a basic place to grab a bite of eat without spending a fortune. A+ food, atmosphere, and service. My new go-to place for watching games & eating good food! Came into the restaurant with high hopes given the backing of Salt Lick in Austin, unfortunately it was nothing like it. The pork shoulder was good, but the ribs and sausage were terrible. Love the one in Hoboken. This one is missing out. Our waitress was not knowledgeable about the menu. Food delivered warm, like it had been sitting around the kitchen. Not worth the prices. This place came highly recommended, and I now understand why. Great location, stunning waterfront Manhattan skyline views, succulent food, attentive staff & service, excellent live music and live sports on just about everywhere. Just opened two weeks ago at this location. Very friendly staff. Food was very good. 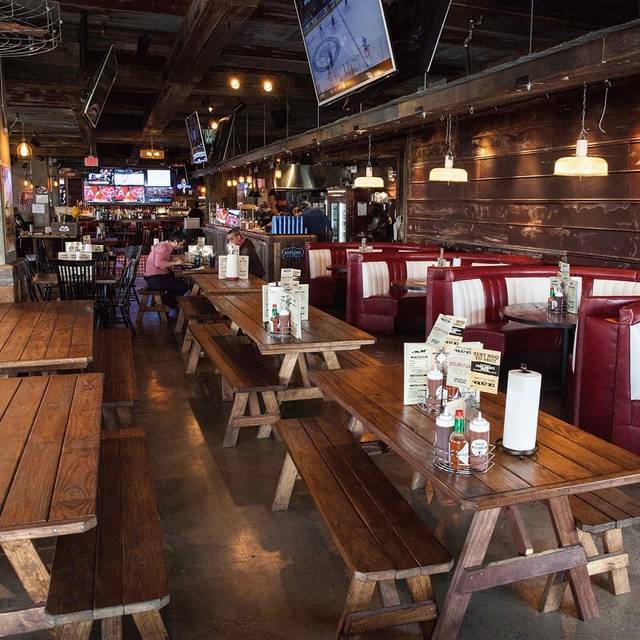 Great spot for casual dining with tons of TV's for catching all your sporting events. Don't miss the chicken wings as an appie and highly recommend the Brisket. Service was very good and attentive! Having eaten at a House of Que, it is a great middle of the road bbq joint. The sauces are great, and are really required to have any real flavor in your food. The Texas Cole slaw is nothing more than wet shredded cabbage with the only flavor coming from sauce left on your fork. Price is reasonable for the amount of food you get. Don’t go on the music night if you want to talk to whomever you’re eating with. Great vibe, excellent location. Friendly staff. Atmosphere was fun, location was great, and the people running it were fantastic! Also came with complimentary valet! It was opening night so we figured they would have some kinks to work out. Service was friendly and attentive. Food was only average. We ordered salad, sandwiches and ribs. All were average only. The dueling pianos were very cool but super loud. So don’t plan on talking to your table mates too much. It’s more like a concert with the players being the stars of the show. Unlike the House of Que in Hoboken which has two separate semi divided spaces, this place is smaller. So if you don’t want to be 100% focused on dueling pianos and the songs they sing you may want to consider another place for the night. All in all the place is a welcome and much needed addition to Weehawken | Port Imperial area. Let’s support them and keep the place vibrant.